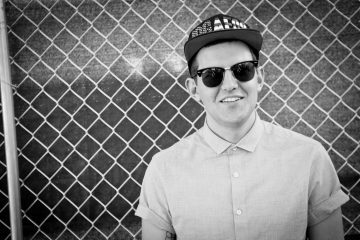 Platinum-selling artist, DJ, and producer Dillon Francis has released “We The Funk” (feat. Fuego), the second single from his forthcoming Spanish language studio album, due out later this year via his own IDGAFOS record label. Francis today also shared an accompanying music video for the track. Directed by Erik Rojas, the vibrant clip sees Francis and Fuego take over a rooftop in downtown Los Angeles. Watch the music video directly down below! Fuego is a Miami, FL based merengue singer-songwriter and founder of the label Fireboy Music. His latest full-length album Fireboy Forever 2 was released in 2016 via Pitbull’s record label Mr. 305 Inc.. He has previously collaborated with artists including, Pitbull, Rick Ross, and J Balvin.